Barbara Brink’s efforts have directly and indirectly contributed to the well being of many British Columbians. Science World owes its existence to her determination, creative vision, and willingness to get involved and make a difference. For 12 years she was the driving force behind its creation. Twice she served as President of the Board of Governors and as CEO. She spearheaded the campaign to obtain the Expo Centre, and $12 million in public sector funding, and oversaw the $19-million retrofit and a major restructuring and repositioning some years later. Founder and Chair of Leadership Vancouver, a program to train and encourage the best of the community’s emerging new leaders under her leadership the program is now in 20 other Canadian communities. Vice-President of Applied Strategies Ltd., a management consulting firm. Served twice as general campaign chair of the United Way of the Lower Mainland, and was a volunteer trainer for the United Way Volunteer Leadership Development Program. 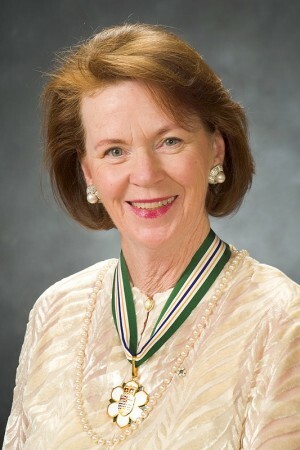 Chaired the BC Cancer Agency’s Capital Campaign and has chaired or co-chaired a series of fundraising World Affairs Dinners. Director of the BC Heart and Stroke Foundation; The Opportunity Rehabilitation Workshop; the Community Arts Council; the Lester B. Pearson College of the Pacific; the West Vancouver Foundation; and KCTS Public TV. Simon Fraser University President’s Club Distinguished Leadership Award. BC Business Magazine named her one of BC’s 12 most powerful women, and The Vancouver Sun named her one of 130 people who have made a significant contribution to B.C.